Why did he change his appearance? The informant of the WADA Grigory Rodchenkov gave an interview to the American television channel CBS. He said he was in witness protection. For this very reason, he refused to answer the questions of the CAS. He said showing his new appearance was dangerous. Stas Natanzon with the details the WADA informant shared with the American journalists. For some reason, he's showing off his bulletproof jacket and then demonstrates the process of applying make-up. A lot of make-up. Perhaps the skin is still sore from plastic surgery. 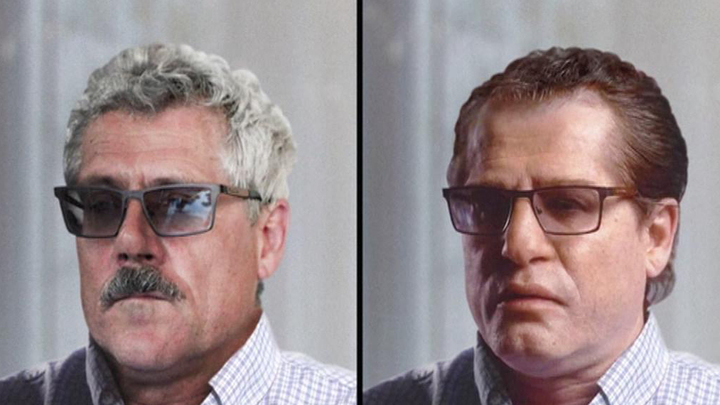 Grigory Rodchenkov has changed but not beyond recognition. His face is swollen, his nose and cheeks are bigger and there's a dimple in his chin. The purpose of such manipulations is explained right away. Grigory Rodchenkov: "There's information that my life's in danger". He claims that the Russian intelligence is hunting him. Why? He said he told the WADA everything he knew. But the journalist does not ask that. Scott Pelley is interested in doping far less than in one particular man. There's nothing new in Rodchenkov's story. Once again, he mentions some "secret hole" through which doping tests were carried out. Grigory Rodchenkov: "This is the mouse hole from room 125." He also mentioned some "plumber Eugeny" who secretly worked for the FSB. The journalist asks how could agents open the safely sealed test tubes and Rodchenkov admits for the first time: "I never saw them do it. Every time, it was a miracle." How did he know that the tubes had been opened? But the journalist does not care. Taking as many medals from Russia as they can is much more important. - How many of the gold medals in Sochi were won by the athletes who used doping? Once again, it's worth asking: why then the Swiss sports arbitration found the majority of our athletes not guilty and returned their medals. But the question was omitted during the interview as well as dozens of other questions. For example, why does he give interviews and wander around if he's in hiding? Changing face for the sake of security and then showing it to the whole world. Refusing to answer the questions of the CAS claiming it's too dangerous, even via video and then giving an interview to a journalist. The inconsistency of behavior of a person with a psychiatric diagnosis is clear. It's also clear why he was told to give this interview now. The doping-charges against the Russian athletes were defeated in court. They need new ones to keep up the hype. They claim Rodchenkov has become a target and is hiding from the Russian intelligence surrounded by cameras.